A day late and a dollar short seems to be the story of my life. What I thought I would post today isn’t done. I’m really into the creation of a series of articles on fundamental changes to the “interwebs” that are evolving before our eyes. These are serious articles that take a fair amount of time to research before I even start writing. I will post them as soon as they are close to being readable to share the info with you as soon as possible. But I am doing the NaBloPoMo posting every day thing this month to get me back in content production mode after a month of reconfiguring hosting, domains, and WordPress themes. So in between these techy articles this month I will be trying to post every day and carry through with my own interpretation of the April A to Z challenge that some folks on GBE2 are doing. My take on A to Z posts will not be in alphabetical order, entirely. Because I’m starting a couple days late and have already posted a couple times, I will be skipping around the alphabet a bit. April 1st’s post was my C entry: Childhood Memories of Spring. April 2nd’s post was my G entry for Google SEO Wars. And today’s post is the A entry for April A to Z. It should be okay as 26 letters and 30 days allows for a few posts that fall outside the A to Z structure. This month is National Poetry Month and I expect that I will participate in some of the poetry-themed NaBloPoMo daily prompts and contests too. At least I should not be at a loss for topics about which to write this month with all the topical hooks out there from which I could hang some content. Do leave a comment if you have surfed over from another blog. I promise to check your site out if you do, and if I can tell that you are not a spammer. 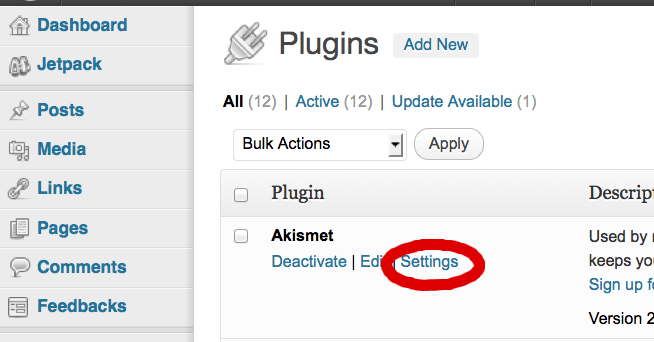 I must get the Akismet WP plugin going to deal with all the dirty spammers.